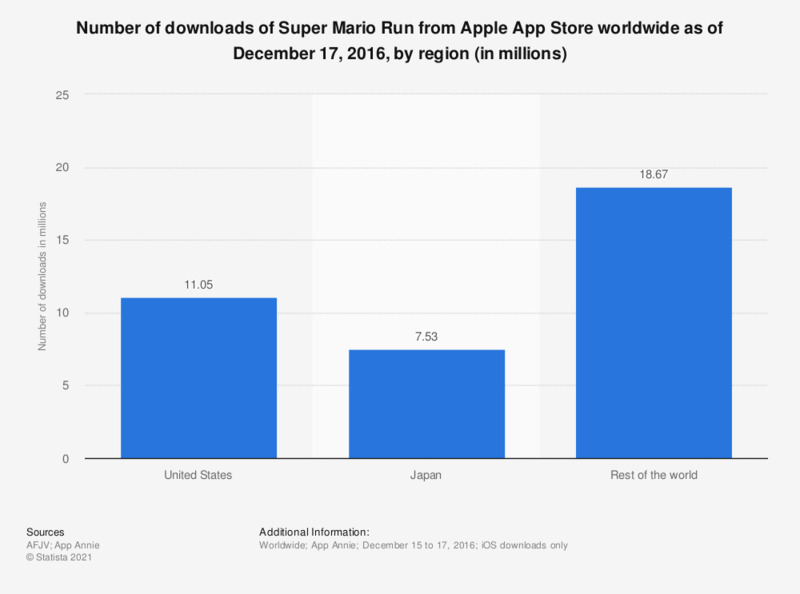 The statistic shows the number of downloads of Super Mario Run from Apple App Store worldwide as of December 17, 2016, by region. In the three days after the game's release, Super Mario Run had been downloaded more than 37 million times all over the world. The majority of iOS downloads originated in the United States, whereas in Japan the 7.53 million downloads were recorded.